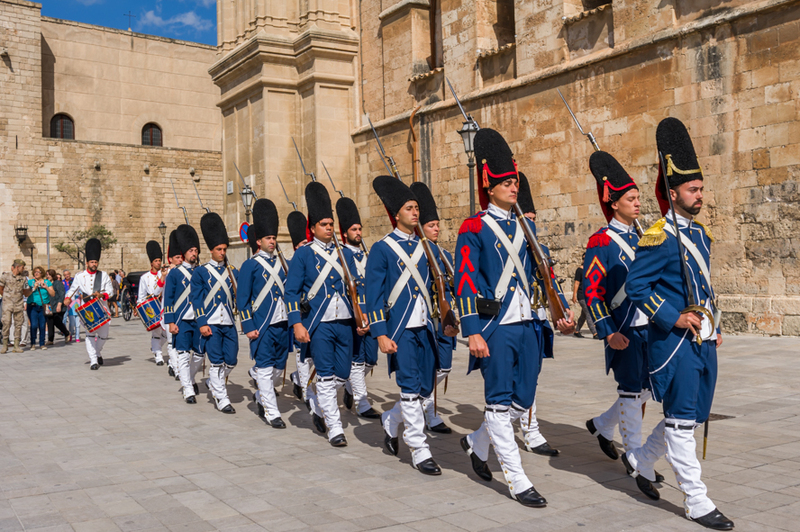 Once a month, on the last Saturday of the month, the historic ritual of the Relevo de la Guardia de Honor (Changing of the Guard) is being performed at the Palacio de l’Almudaina, in front of the Cathedral in Palma. The colourful ceremony commemorates an event in 1808 when the Regimiento de Voluntarios de Palma was established due to Spain’s involvement in the Guerra de la Independencia, with France and Napoleon being on the other side. The Regimiento de Infantería Ligera Palma 47 is the successor of the old volunteers; they are nowadays based at Palma’s Almudaina. A visit is recommended. Early attendance would allow you a better view. Admission is free. The photo was taken in Palma de Mallorca, Baleares, Spain. The date: September 27th, 2014.